What to collect herbs for tea. Salvia officinalis is a low perennial shrub that reaches heights up to 75 cm Circulated on the Mediterranean coast in mountainous areas with dry climate. In home gardens it is grown as a spice and for medicinal purposes. Due to the presence of tannins and essential oils sage has antibacterial and anti-inflammatory properties. Decoction of plant is used for rinsing of the mouth, throat colds, sore throat, with catarrh of the respiratory tract. It is used as an external agent for hair loss, inflammatory skin diseases, ulcers and festering wounds, for the treatment of frostbite, minor burns. 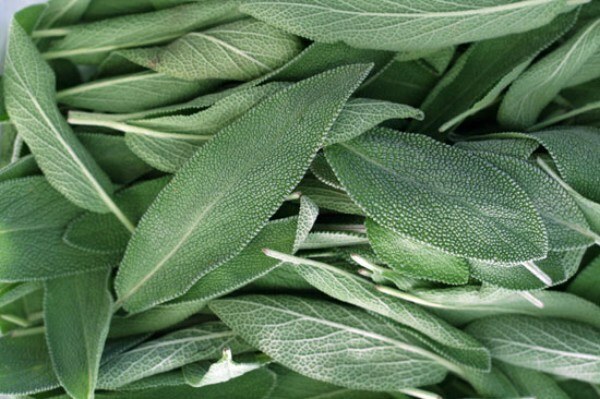 Sage leaves have a spicy smell and a bitter, spicy flavor, so use them as a condiment, adding to sauces, fish, meat dishes, soups. Very well the sage with rosemary. In medicine a tincture of sage leaves used in the form of douches, you can drink it at reduced level of estrogen, slow-growing endometrium. Shared bath or an application of sage to help with intervertebral osteochondrosis, deforming osteoarthritis, sciatica, chronic metabolic degenerative and inflammatory diseases of the joints. The infusion of sage is used for peptic ulcer the digestive tract, for the treatment of gastritis, inflammation of the bladder, it is well reduces the blood pressure. Sage leaves are harvested two times in June (during budding) and in September (after the regrowth of the plants). You need to collect it in the morning, in dry weather. The workpiece is carried out in two ways. In the first method, the leaves need tearing by hand and immediately drying. In the second method should be cut off herbaceous plants at a height of about 10 cm from the ground, then you need to dry harvested sage, and then separate the leaves from the stems obnalichivanie. Raw material drying is carried out under the awning in the open air or in well-ventilated areas. The plant can be dried in special kilns at a temperature not exceeding 35oC in order to avoid losses of essential oils. Store the sage in a dry cool place. To prepare an infusion of sage leaves for ingestion, add a tablespoon of raw two cups of boiling water, leave it for 50-60 minutes, strain and take 1/2 Cup three times a day before meals. Infusion of sage leaves for external use (lotions, rinses, washing) is prepared as follows: pour 2 tablespoons of raw materials Cup of boiling water, leave for 20-30 minutes and strain. Do not take sage with a strong cough and inflammation of the kidneys. To prepare for douching pour 4 tablespoons of raw materials Cup of boiling water, leave for 10-15 minutes, strain and dilute with cold boiled water to 1 liter. Sage, infused with 70% alcohol, prepared in a ratio of 1:10. This tincture should be taken three times a day 20 drops. Sage is a perennial plant that has a lot of advantages. Since ancient times, its leaves and inflorescences are used for medicinal and magical purposes. It is believed that this herb is able to awaken the extinct feelings. In addition, sage is a common seasoning, which is often used for cooking various dishes. To grow sage on the dacha, and in the indoor environment. Sage is propagated in several ways. It can be transplanted vegetative method, seeds and seedlings. Although the plant tolerates light frosts and quite undemanding to the soil, some of its features can be called capricious. For example, the love of the world. Plant sage should be exclusively in Sunny suburban areas. The place selected should be the most lit. Frost sage can not be named. The plant can freeze solid even with the all too frequent snow precipitation. Before planting or sowing plants, the soil should be fertilized with any nutrients. Special preparations for this, so you can use any fertilizer. If you decided to plant sage seed, it is recommended to pre-soak for a day in the stimulant, and then, slightly dry, to sow in the open ground. Seeds can be planted in a different way, but you need to wait until they sprout, wrapped in a damp cloth. The process of landing better done in the spring. Seedlings should be planted on the plot at a distance of 15 cm from each other. Sage grows in small bushes. Before planting, the soil should be moistened. If you decide to grow sage on the windowsill, then please note that on the package of seeds marked "early". Other varieties of this plant can not survive in the indoor environment. For sowing seeds suitable conventional flower pot. The land pre-fertilized, and then planted in it germinated seeds. A place for sage you should choose the most bright – sill in this case the ideal territory for normal growth. Please note that experts recommend planting sage in the home in the form of seedlings. Chance that the plant will catch on in this case anymore. 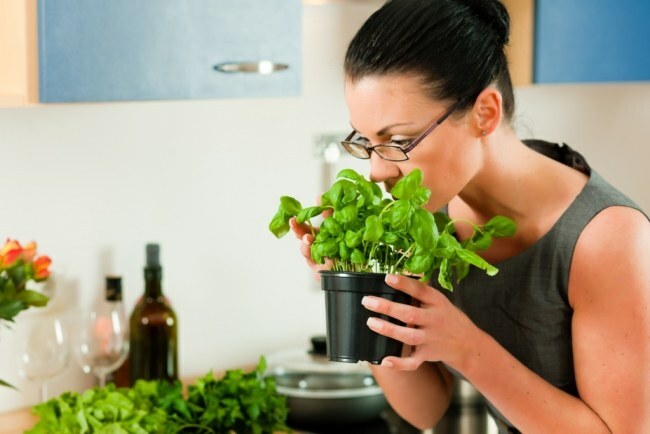 It is necessary to water it regularly, but in minimal quantities. In summer it is better to place the pots on the balcony. Receiving sufficient normal light, the sage leaves will be more flavorful and juicy. Special care for a sage requires. Regularly weed the ground, to loosen it and fertilize one to two times per year. In the spring need regular rejuvenation of old shoots. This is done very simply. Simply cut the top of the bushes and wipe dry shoots. This procedure is also carried out in the spring. Excessive soil moisture can ruin sage. That is why follow the frequency of watering and, if necessary, cover your shrubs with a film with abundant rainfall.